If you own a Windows 10 Dell laptop with the touchpad, you need to download update Dell touchpad driver to match the Windows 10 systems. Especially after upgrading Windows OS, say the Windows 10 Creators Update, you may encounter software and driver compatibility issues due to the incompatible Dell touchpad driver which could cause the touchpad malfunctions like the Synaptics device not found on Windows 10, touch screen not working, two finger scroll not working and more on your Dell laptop device. Dell touchpad drivers for Windows 10, like the other Dell drivers for Windows 8.1, 8, 7, Vista and XP, can be downloaded from the Dell Drivers & Downloads support page to get the WHOL trackpad driver for Dell laptops, such as the Dell Vostro 15 3568, Dell E5470, Dell Inspiron 7567 gaming laptop etc. Please see Way 1. Or if you don’t want to search for the drivers manually for the Dell touchpad, you can follow the Way 2 to update the best-matched Dell device drivers for Windows 10. If you have a clear clue about you Dell model and the touchpad driver you need such as the Dell E6410 touchpad driver, Dell E6400 touchpad driver, Dell Inspiron 1545 Alps touchpad driver, Dell Inspiron 15 touchpad driver etc., you can head over to Dell support page to get it. Below is how. 1. Navigate to Dell Drivers & Downloads support page. 2. Enter the service tag of your Dell machine and then click “Submit” to search for your wanted trackpad drivers. Or you can select Detect Product to auto-detect the available drivers that your Windows 10 Dell laptop needs. 3. Choose the touchpad driver for Windows 10 version from the showing results. 4. Run the downloaded .exe driver files to install the Dell drivers for the touchpad device. As we have mentioned above, if you want a smarter way to download the compatible drivers without wasting too much time and energy on hunting the correct touchpad drivers, you can turn to a professional driver update utility, say Driver Talent, to download and update the most appropriate Dell trackpad driver like the Dell Inspiron 3542 touchpad driver, Dell Synaptics touchpad driver, Dell D630 touchpad driver, Dell XPS touchpad driver and more. You can get such a driver manager with only one-click the Download button below. Follow the 3 easy steps below to update your Dell drivers. 1. 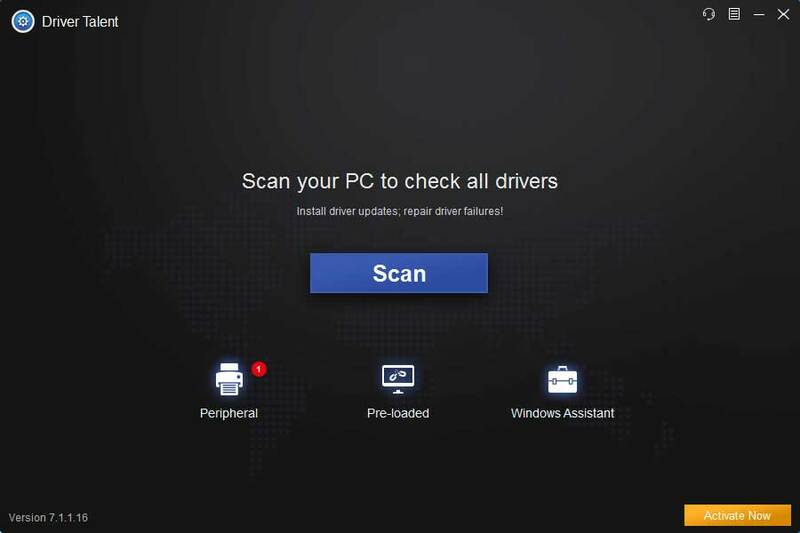 Click Scan and let Driver Talent detect all the outdated, missing, broken, corrupt or other incorrect drivers on your Windows 10 Dell PC. If your touchpad driver is an incompatible one, it can be detected during the scanning. 2. Click “Repair” to download and then install the most compatible drivers for Dell laptop. You are also able to update to the latest driver versions by clicking the “Update” option. Don’t forget to back up drivers before any system changes to avoid any unexpected system issues like the mouse not working, blue screen, black screen etc. Also, create a restore point so as to restore to previous drivers once unexpected computer issues happen. 3. Perform a PC reboot to ensure that all changes take effect properly when the update has finished. 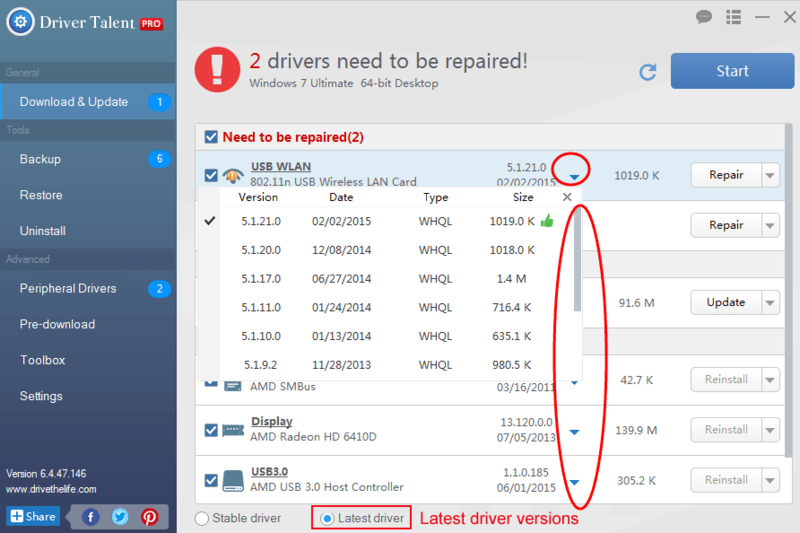 Apart from drivers downloading, Driver Talent owns more features, like drivers download for another computer, PC speed up, Pre-download drivers and its new addition, gaming solutions, repairing XINPUT1_3.DLL not found issue, 0xc00007b error, missing MSVCP120.DLL file etc. If you have any doubt related to Dell touchpad drivers download or update, don’t hesitate to ask for help under the comments section of this page. We will come to you at the first place. You can also click the SUPPORT BUTTON on the left of this page or turn to our OStoto official forum for discussion. If you have more Windows driver-related issues, see Driver Issues and Fix. For Windows 10 specific problems and solutions, please see Windows 10 Common Errors.